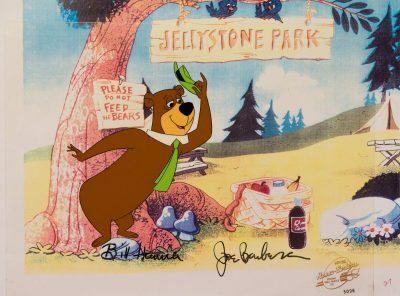 Yogi bear is an American cartoon bear that has appeared in numerous comics and tv shows, including The Huckleberry Hound Show where he made his debut in 1958 before being given his own show in 1961. 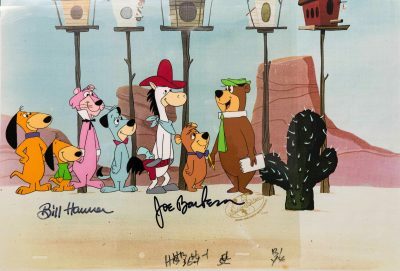 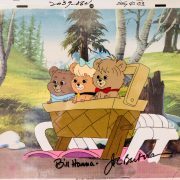 Yogi was produced by Hanna-Barbera and is a well beloved character in the USA. 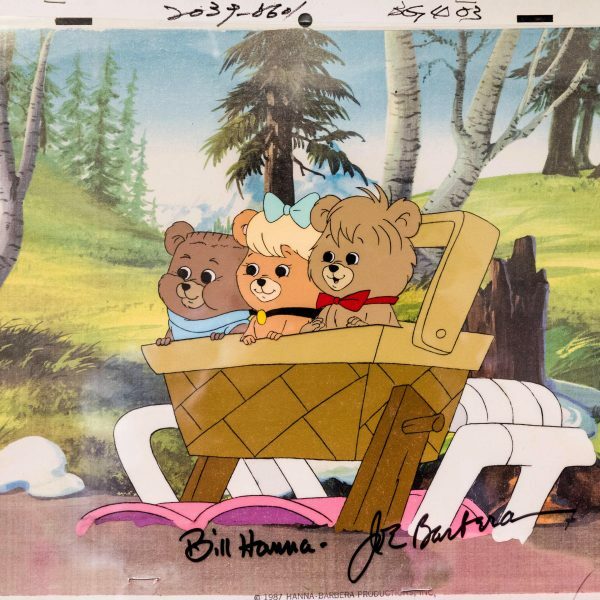 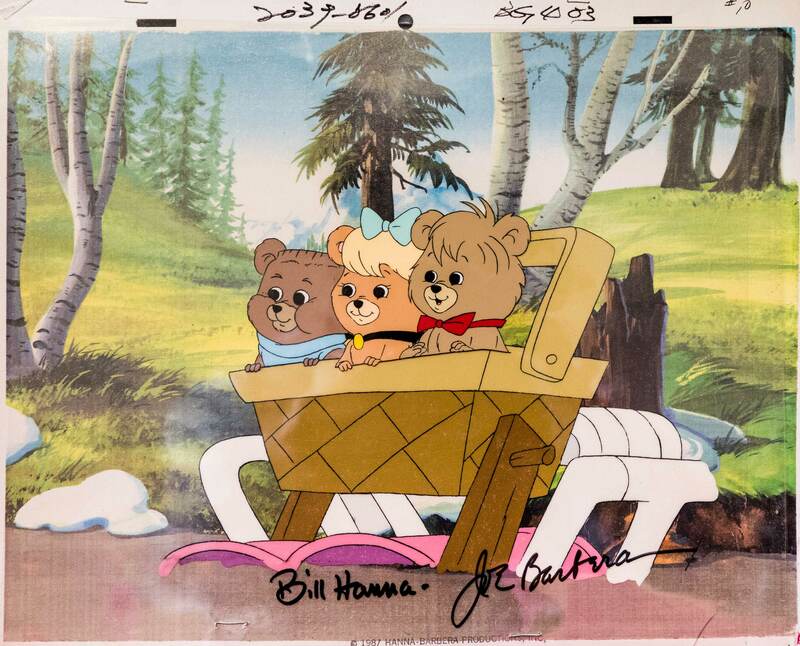 This is an original Yogi Bear film illustration/production cell that was used to animate in a random episode that featured him. 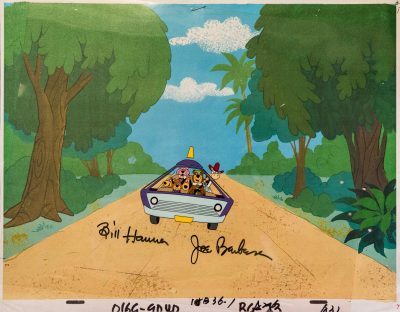 This piece is part of a larger series, including The Flintstones, The Jetsons, Yogi Bear and Pink Panther.